In a statement released by Bangladesh’s Inter Services Public Relations (ISPR), the agreement was signed at the BAF Air Headquarters with the BAF leadership and Russian Embassy officials in attendance. In December, Bangladesh’s Minister of Law Anisul Huq disclosed that several big-ticket acquisitions will be finalized in the fiscal year of 2016-2017. 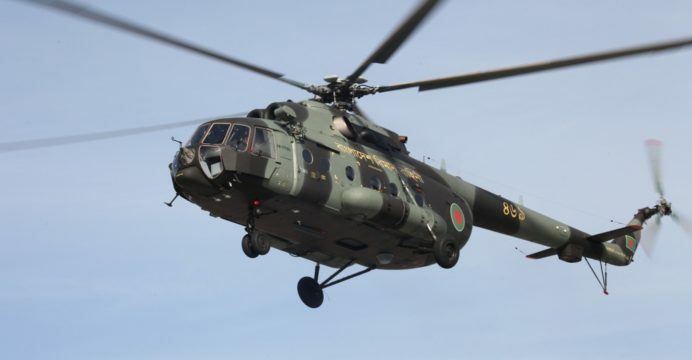 Six Mi-171Sh helicopters – along with eight multi-role combat aircraft, two maritime search and rescue helicopters, a medium-range surface-to-air missile system and unmanned aerial vehicle system – are in the procurement roadmap. It seems the BAF has finalized the Mi-171Sh helicopter requirement. The Mi-171 is one of the most popular medium-lift helicopter platform. In its baseline configuration, the Mi-171 can reach a top speed of 280 km/h and flight ceiling of 6,000 m. With a maximum take-off weight of 13,000 kg, the Mi-171 has an internal payload of 4,000 kg, which can be increased to 5,000 kg if using an external sling. It can ferry up to 36 troops or 12 stretchers (for medical evacuation). Besides transport, the Mi-171 can also be armed with guns and rockets.